High CPU usage slows down the system. Mostly, the reason behind high CPU usage is a process which occupies a lot of system resources. 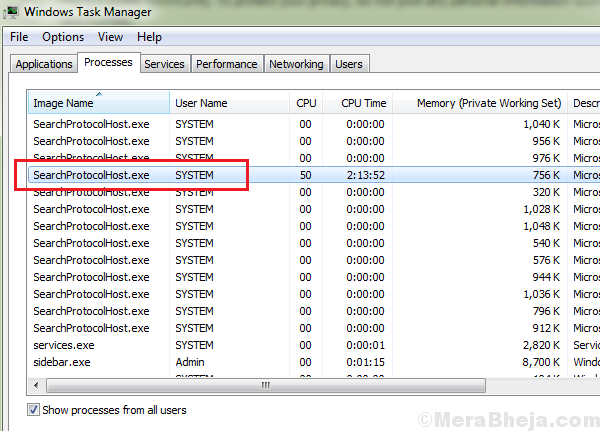 One such case is when the process SearchProtocolHost.exe is causing high CPU usage. The SearchProtocolHost.exe is the process name for the Windows Search Indexer. It helps keep a record of all files on the system to make the search process better. The cause behind the SearchProtocolHost.exe process causing high CPU usage is when the Indexer is unable to find certain files on the system. Thus, it pushes the process hard because of which it utilizes a lot of system resources. 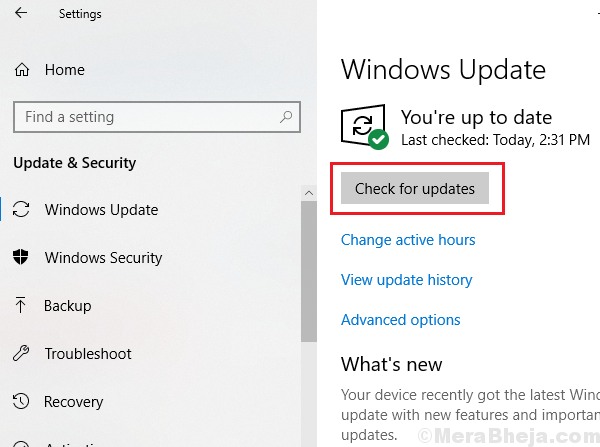 1] Update Windows: When we update Windows, it would update the lists in the Indexer from the network, just in case any newly launched program was missed. Here’s the procedure to update Windows. 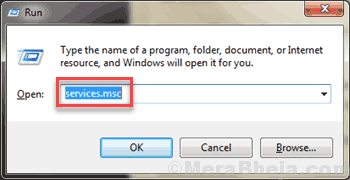 2] Uninstall any recently installed suspicious software. 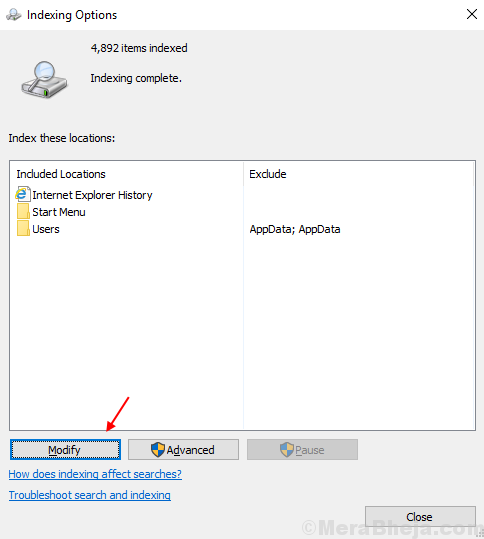 3] Run the Search and Indexing Troubleshooter. 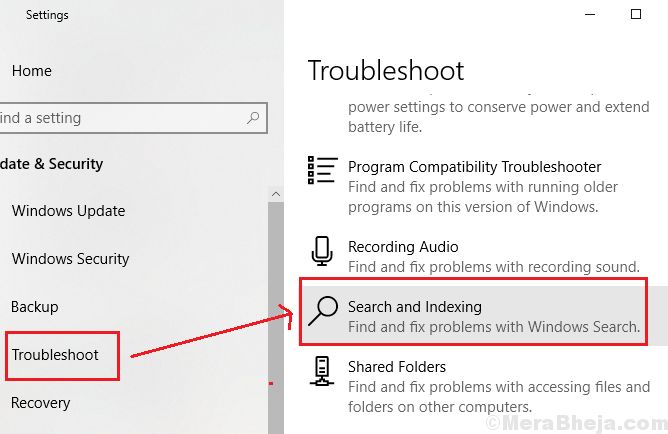 Settings >> Updates and Security >> Troubleshoot and select the Search and Indexing Troubleshooter. 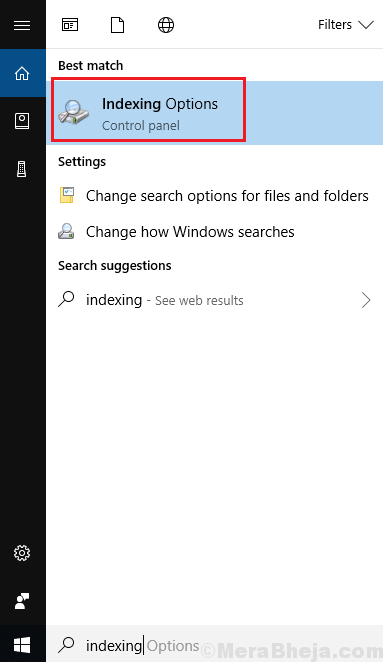 1] Search for Indexing options in the Windows search bar and open the option. 2] Click on Modify. It will show the list of Indexed locations. 3] Select Show all locations. It would need Administrator permissions. 4] Uncheck the larger locations (eg. C: if it is your system drive, etc.). 5] Click on OK to save the settings. Check if it helps ease the Disk utilization. An SFC scan helps identify missing files and replaces them if necessary. Here’s the procedure for an SFC scan. 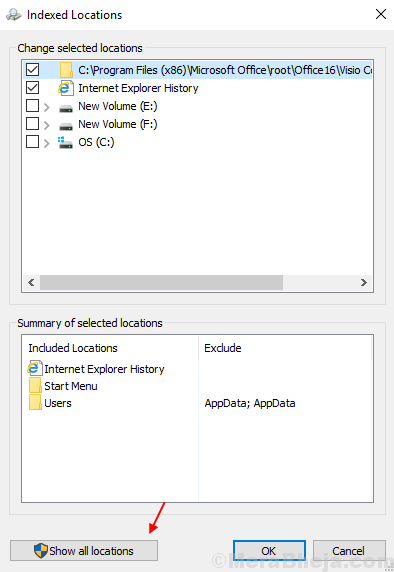 While we all know how important Windows search is, but if we are unable to use the system because of the process, we would have to disable Windows search and use alternate options to find locations. 1] Press Win + R to open the Run window and type the command services.msc. Press Enter to open the Service Manager window. 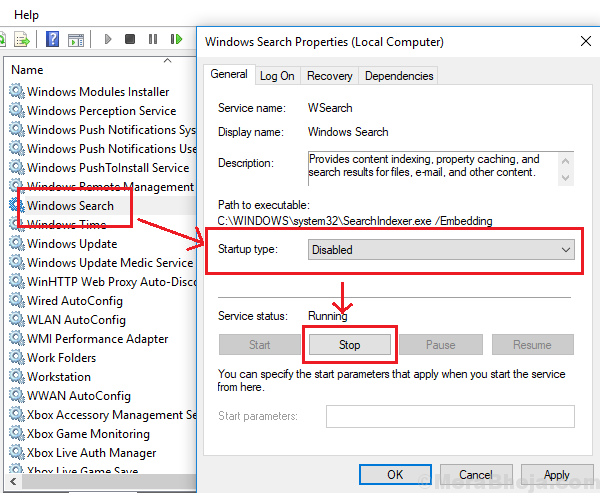 2] Locate the Windows Search process. Right-click on it and select Properties. 3] Set the Startup type as disable and click on Stop to stop the process. 4] Click on Apply and them on OK to save the settings. 5] Restart the system and check if it helps resolve the issue.